Thinks outside of the box, but is his head in the clouds? Square Enix's President – and one of the most powerful men in the Japanese gaming industry – has seen into the future. And one thing he doesn't see is that console under your telly. That's right. When none other than SqEnix boss Yoichi Wada wades into the debate about the future of consoles, traditional retail versus digital distribution and 'gaming in the cloud' it is time for Sony And Microsoft to listen in. And listen in good! Wada has said that Sony and Microsoft are already prepared for the end of the console era. "In ten years' time a lot of what we call 'console games' won't exist," the SqEnix boss told trade mag MCV. "In the past the platform was hardware, but it has switched to the network… A time will come when the hardware isn't even needed anymore," he added, noting that Sony and Microsoft are ready for a new era dominated by server-based offerings, game streaming and digital distribution. 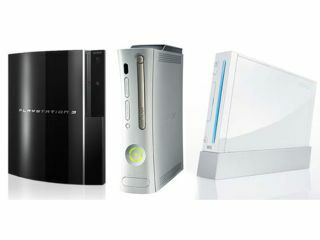 "Somewhere around 2005 the console manufacturers' strategy shifted," he said.